Things started heating up at the second weekend of GlassLab on Governors Island, with designers Helen Lee, James Victore, Leon Ransmeier, and Mike Perry forming their ideas in 2300 degree hot glass, despite the near triple digit temperatures in New York City. 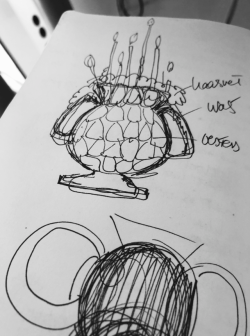 Designer and glassblower Helen Lee’s design session was a blend of glass and typography. 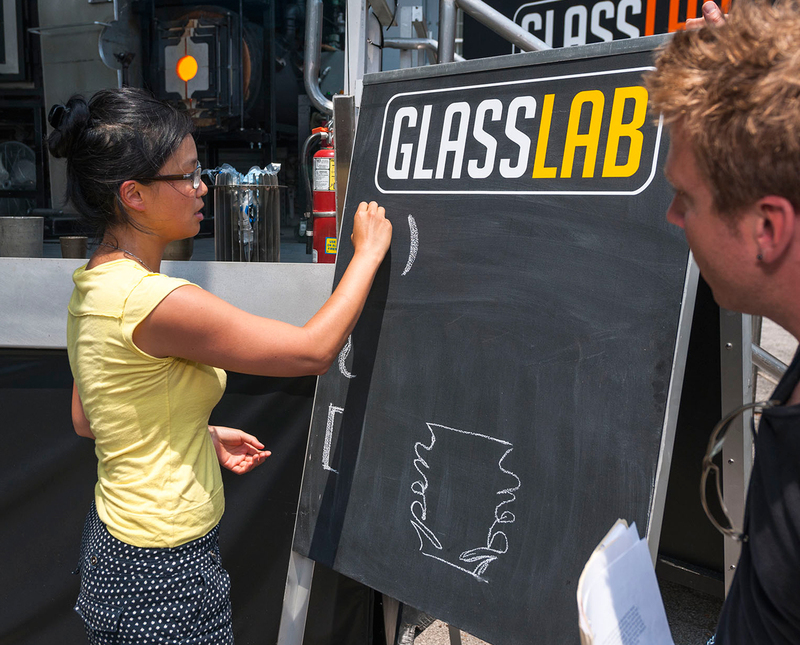 Using the shape of parentheses and brackets as a starting point, Helen and the GlassLab team formed glass vessels that if cut in half, would show the form of the 2D characters. Helen’s unique ideas for approaching the material included creating vessels with cursive script forms. 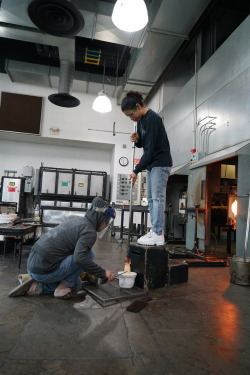 On Saturday, the glassmakers created a clear glass vessel with cursive forms spelling out the word “man.” Two additional vessels in Sunday’s follow up session, “pen” and “ship,” completing the three-part “penmanship” series in glass. 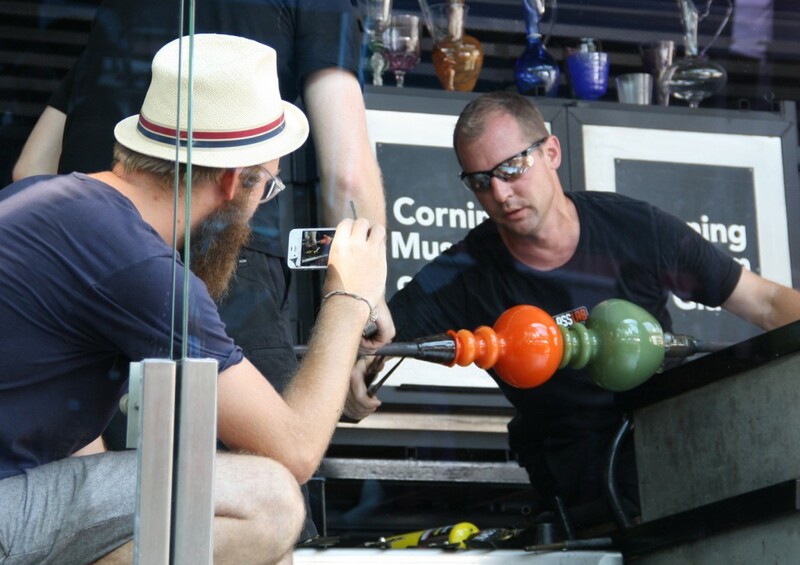 Leon Ransmeier came to GlassLab prepared and ready to make a series of nine glass pitchers using a plaster mold. 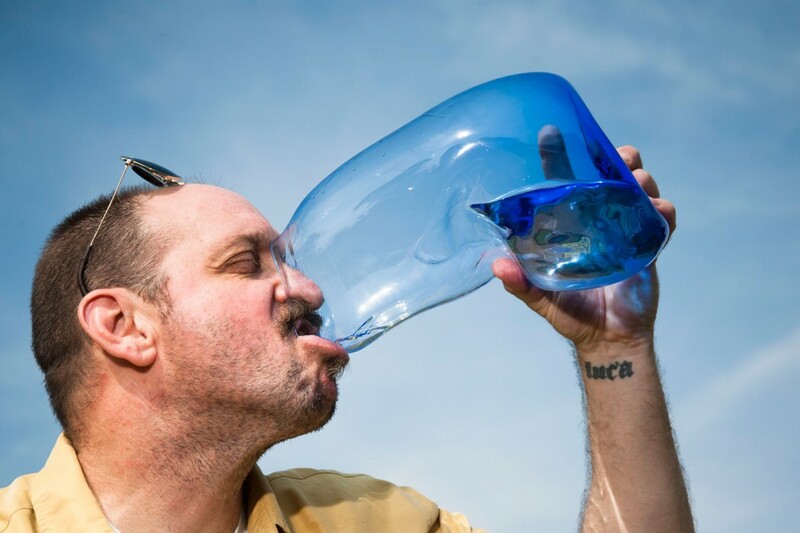 For this series, he wanted to investigate the various ways of interacting with a common object, attaching the handle a different way on each clear glass pitcher. 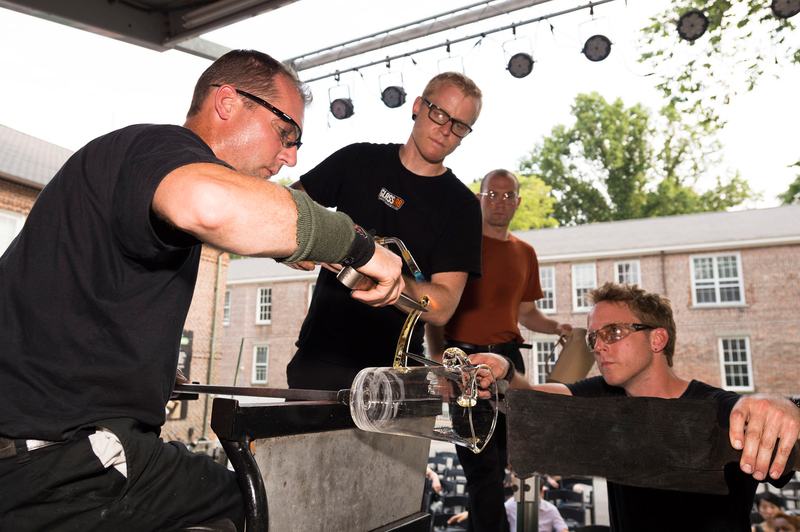 After some trial and error, the glassmakers abandoned the mold in favor of shaping the hot glass by hand. Leon took it all in stride and was amazed at the process. “It’s about experimentation, not production,” he said. 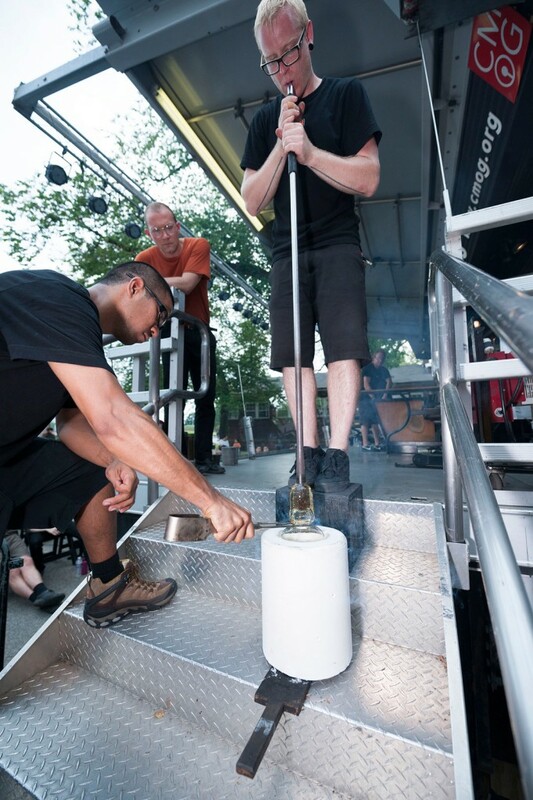 Mike Perry continued to explore color in glass on Sunday, designing a vessel with two halves of bright green and yellow. See the full GlassLab on Governors Island schedule for upcoming designer sessions with Peter Buchanan-Smith, Inna Alesina, Paul Sahre, Abbott Miller, David Weeks, and Georgie Stout.